What were the symptoms associated with a head injury in you or someone you know? What was the treatment for your head injury? Did your child suffer a head injury? Please share your experience. 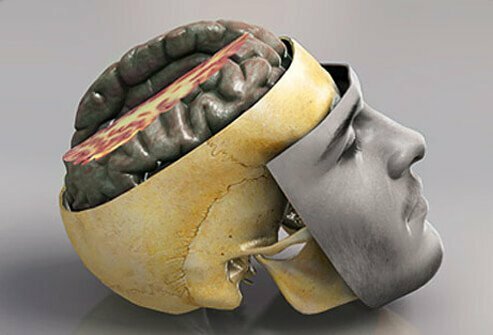 What was/is the prognosis for someone you know who suffered a head injury? 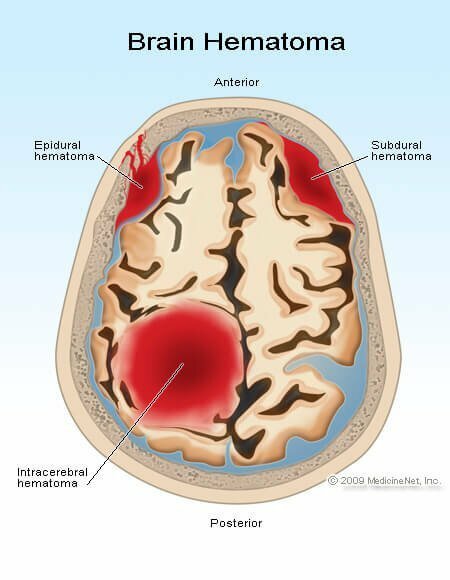 Please provide tips and suggestions for preventing a head injury. 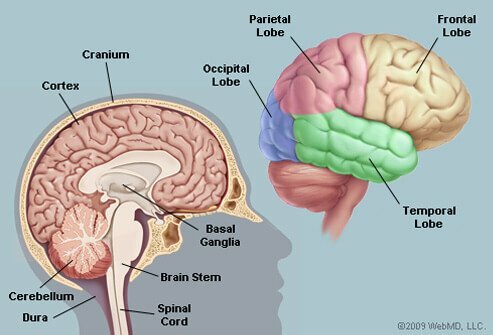 That part of the central nervous system that is located within the cranium (skull). 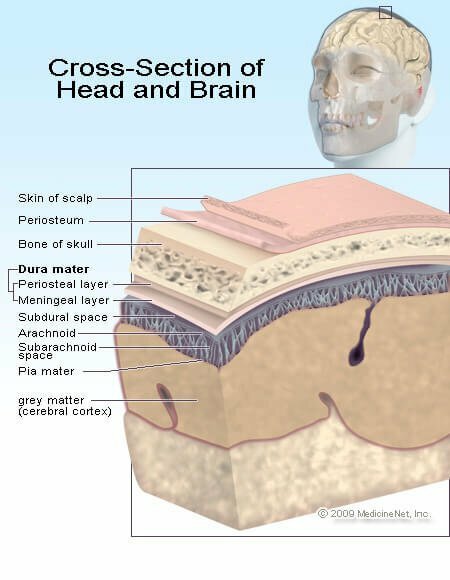 See a picture of Brain Layers and learn more about the health topic.